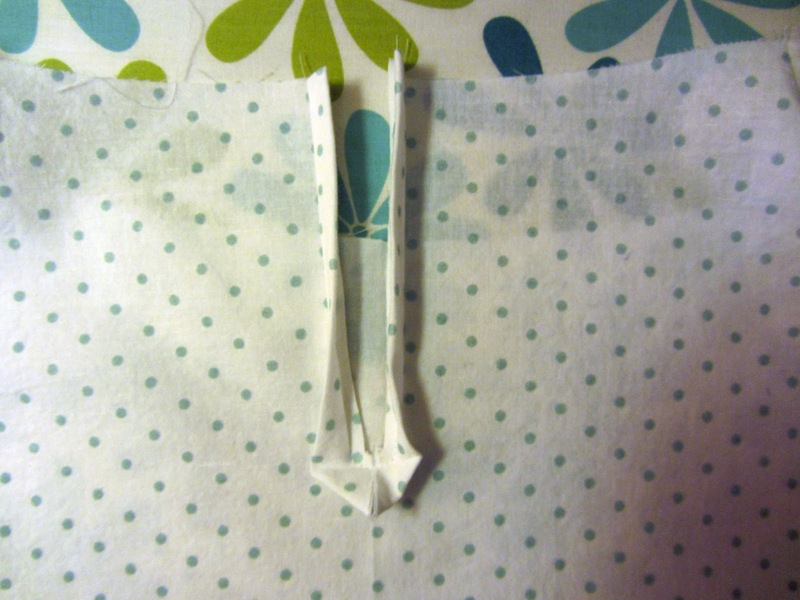 After spending all that time on my mom’s robe, I wanted to kick-start my sewing for 2013 with an easy sewing project. Ha! I have yet to experience an easy sewing project, I think. Somehow I manage to complicate everything. Still, I have dreams of getting really good at a few basic patterns and being able to whip them up in a few hours. So I chose this blouse that was featured on Burdastyle.com last summer. 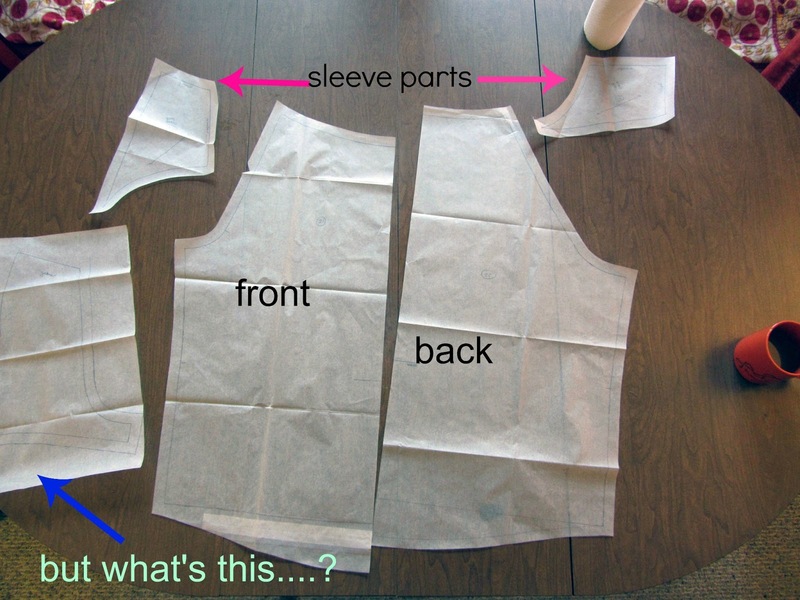 I started to add seam allowances to this piece (oh Burda… you lazy, lazy pattern publishers), but after having it in front of me for a few moments I started to wonder where the heck this piece fit in. The answer is, it doesn’t. 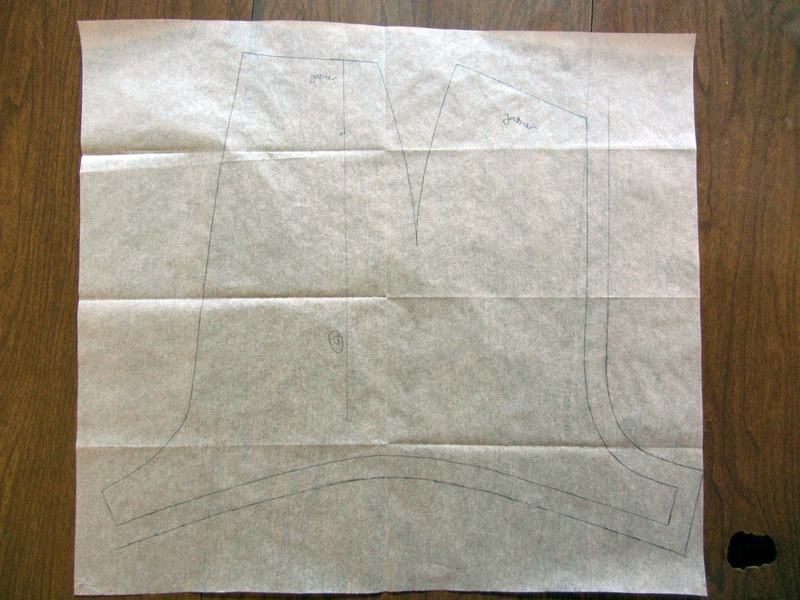 This is just an extra piece that somehow sneaked into the pdf file with the other legitimate pattern pieces. It’s number sequentially along with the others, with all the trappings of a legitimate pattern piece, except it’s f*-ing weird shape gave it away. Strange piece, you do not belong here. 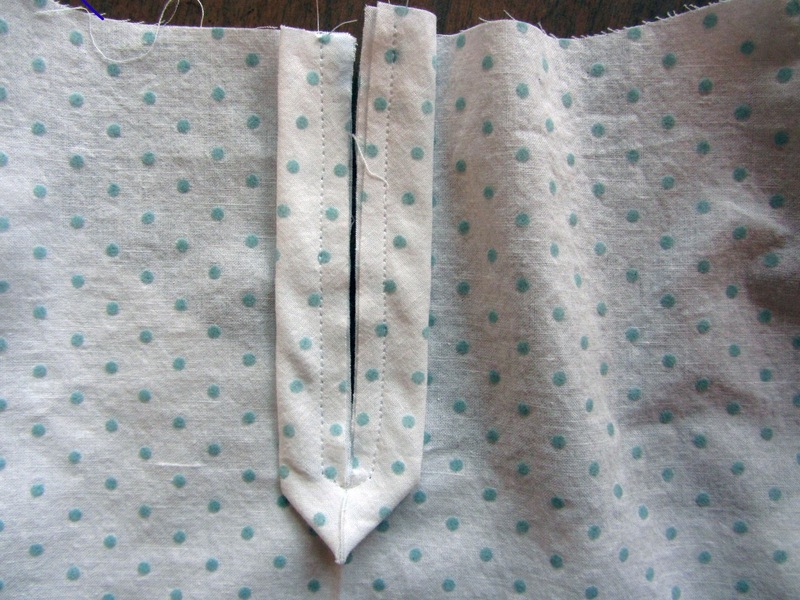 I dearly hope that some other poor pattern is not missing it’s crucial, oddly shaped doohickey, causing seamstresses elsewhere to pull their hair and curse Burdastyle. But that’s probably the case. When I’m finally done with this blouse (which needs some major fitting adjustments right now), I’m going to post some pictures of how I constructed the sleeves, because I find that part a little confusing. 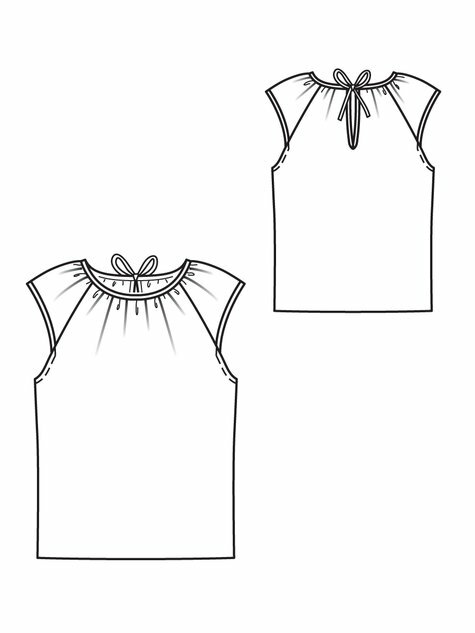 But for now, I do have a short tutorial on how I finished the slit at the back neckline. 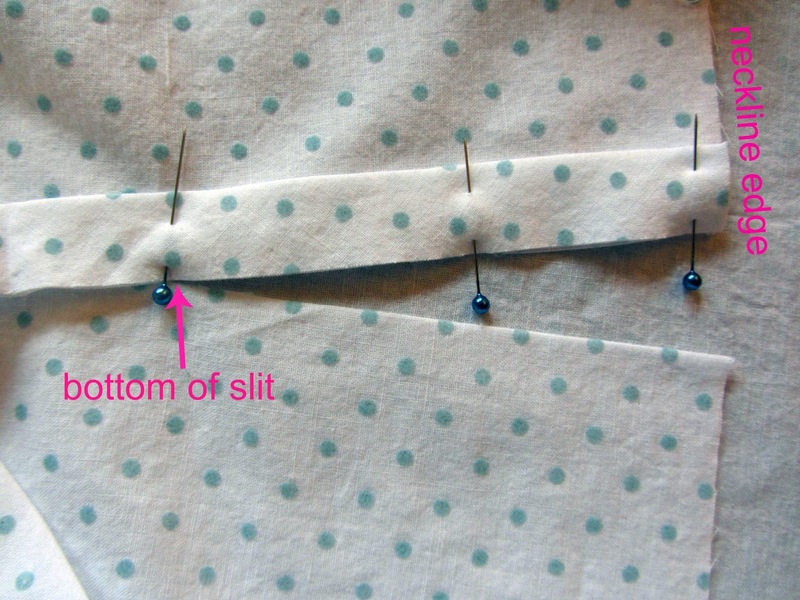 I tried to find instructions online for doing this type of narrow slit using bias tape instead of a facing. You can waste a lot of time searching for something specific like that, however, so I gave up quickly and invented my own method. I don’t know if this is a legitimate method, but I like how it turned out, so I will share. The folds create a nice point. 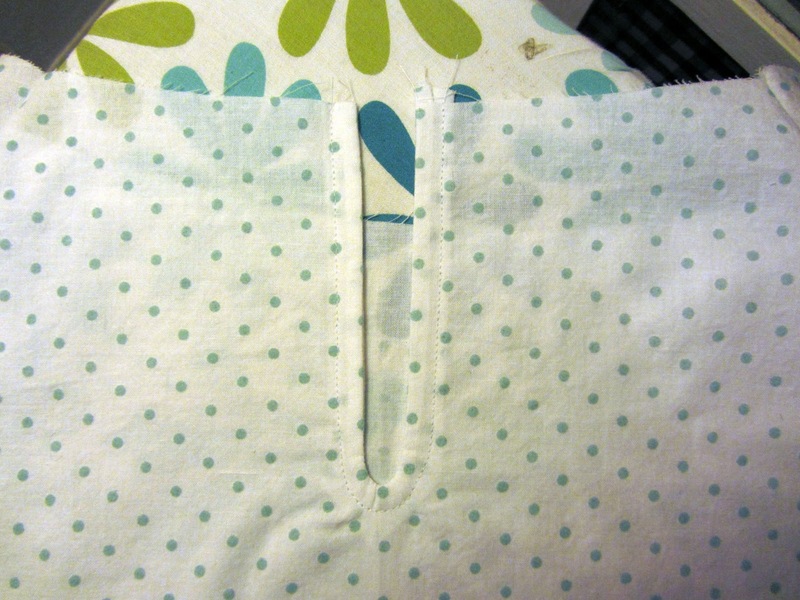 Next, I stitched around the slit, staying about 1/4″ away from the raw edge. 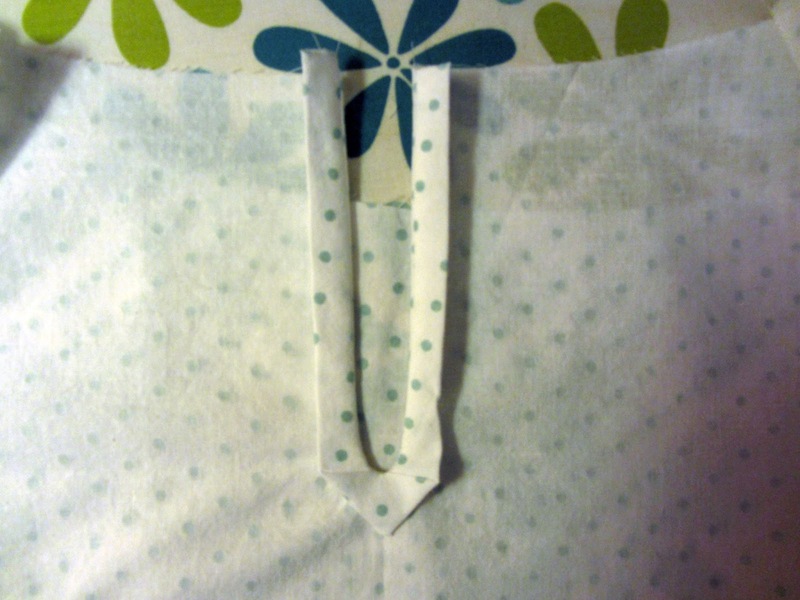 At the bottom of the slit, I curved the stitching and went back up the other side, going very slowly and carefully to try to keep it symmetrical and not too wide – I don’t want a keyhole opening. 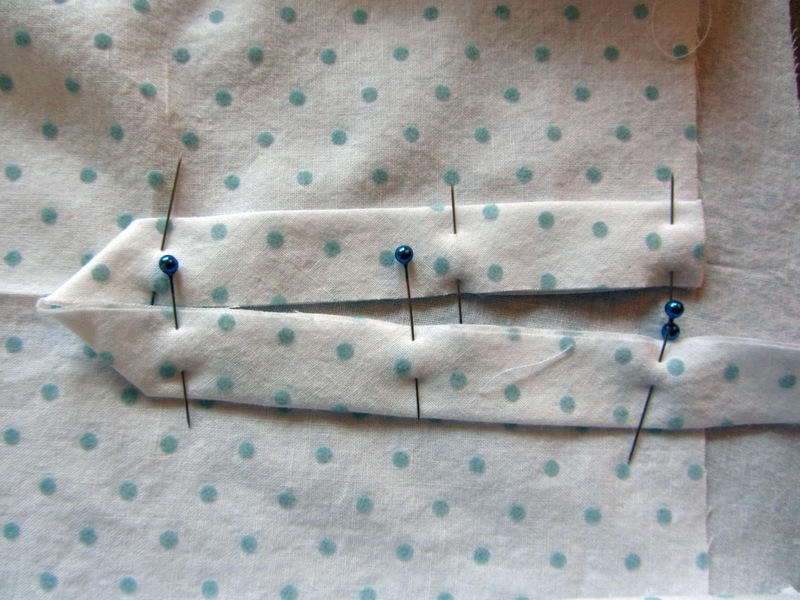 Then I took it over to my iron and press all the bias tape up and in toward the slit. 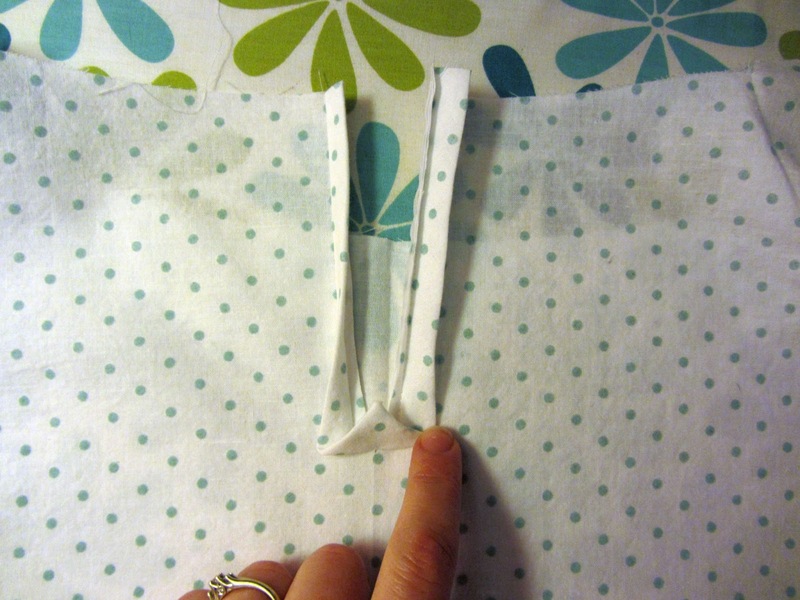 Then, I turned the bias tape to the inside of the blouse, and ironed it down. I’m pretty pleased with how tidy the result is. 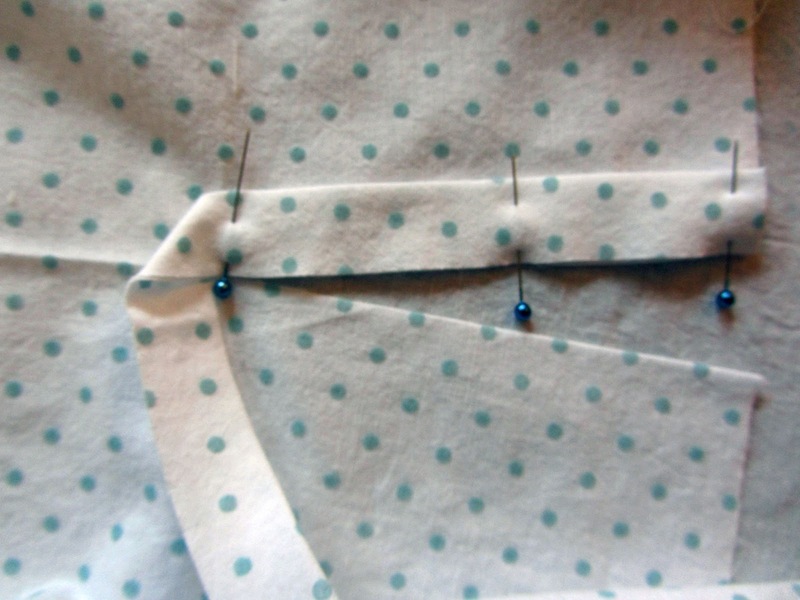 I can also see doing this with contrasting bias tape and sewing it on the wrong side first so that it will flip over and get topstitched down on the right side. It would make a nice little arrow shaped design feature. Well, that’s all I’ve got. If you know of another way to do this, I would be very happy to hear! OMG I have to try the bias-tape neck slit. Yours came out so beautifully! Maybe that extra piece is an option for a long sleeve with a dart? ….OOOOHHHH. That makes some sense. Thanks! I bookmarked this in case I ever need to finish a slit like that. Otherwise I wouldn't know how to start! Thanks! You are totally fantastic to use your time for adding this technique. I was sewing this blouse today and did not know how to start.